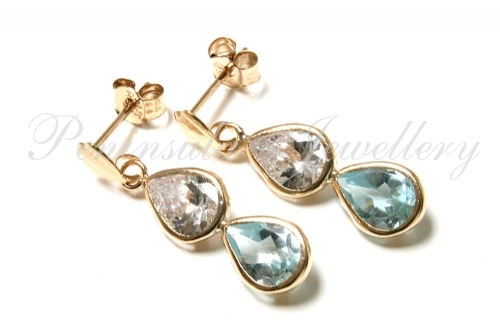 Stunning Blue Topaz and Cubic Zirconia earrings, elegantly simple, to suit all ages. 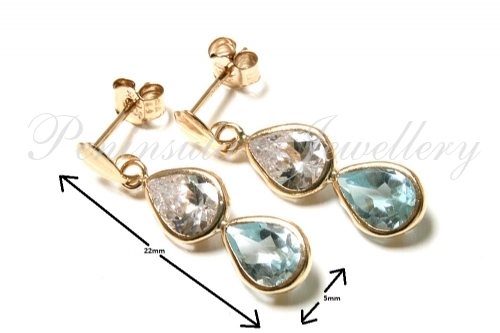 Featuring 7x5mm Pear cut gemstones. Dimensions: 5mm wide at the widest point, 22mm long. Standard posts and butterfly backs in solid 9ct gold. Supplied in a luxury gift box. Made in England.